Apple is said to have increased its shipments by 11.3 percent quarter on quarter, according to TrendForce, with third quarter shipments MacBook shipments reported at 4.43 million in the period. The increased sales also helped Apple's market share, boosting its standing from a reported 10 percent in the second quarter to 10.4 percent in the third. TrendForce analyst Kou-Han Tseng highlights Apple's focus on new MacBook Pro models for the third quarter as one of the reasons for the increase in shipments, continuing from strong shipments of the 12-inch MacBook in the second quarter. While Apple does not break down figures for product categories in its quarterly results, it was revealed in early November that Mac sales as a whole grew to 5.4 million units in the quarter, up from 4.9 million Macs sold in the same period in 2016. In the analyst conference call, it was noted that 2017 has been the best year ever for the Mac, with the highest annual Mac revenue in Apple's history, the best September quarter ever for the Mac, and an all-time record quarter for Mac sales in China. As part of the comments from CEO Tim Cook and CFO Luca Maestri, the growth of 25 percent was attributed to the MacBook and MacBook Pro product line refresh from June, along with a strong showing of back-to-school sales. Mac purchases from the educational market were claimed to have increased by double digits year-over-year. The top notebook vendor on the TrendForce list is HP, noted as reaching a single-season shipment total of 11 million units for the first time, after reportedly seeing a quarterly increase of 17.6 percent. Second place Lenovo is said to have caught up on poor sales from the first half of the year, reporting 8.58 million units in the third quarter and growth of 6.5 percent. Dell maintained its second-quarter commercial notebook shipments, recording 6.65 million units for the period and increasing by just 1.4 percent on a quarterly basis. Previously in fourth place, the fifth-place Asus had similar sales to Apple in Q2, but has dropped down to 3.82 million units for Q3, while the 6th place Acer improved by 2.8 percent to 3.31 million units. For both Asus and Acer, Trendforce believes the two will enjoy higher sales in the fourth quarter, including some recovery of demand in Europe. Overall, the total number of shipments recorded by Trendforce reached 42.7 million units, a sequential quarterly increase of 6.8 percent, and a year-on-year increase of 0.9 percent. For the full year of 2017, it is predicted by the analytics firm that the notebook market will reach 162.4 million units shipped, with annual shipments estimated to change from decline to growth, increasing by 0.7 percent. 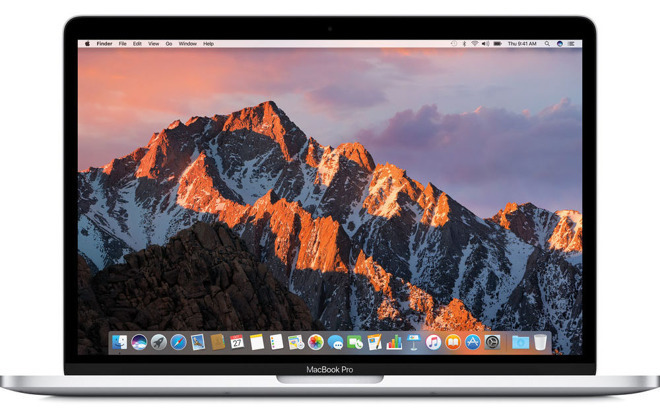 Industry observers have previously suggested the notebook market as a whole was stagnant or contracting, but Apple's previous results suggest that, for 2017, Mac continues to be a prosperous market for the firm.